The perfect introduction to Vietnam and Cambodia! Tick off two fantastic Southeast Asian countries in one action-packed trip. Discover Vietnam’s bustling cities and gorgeous natural landscapes, and then venture into Cambodia for island escapes and temple tours. You’ll see all of this region’s best sights, including Ha Long Bay, Hoi An, Ho Chi Minh City, Phnom Penh and Angkor Wat. You’ll also enjoy two nights on the white-sand beaches of Koh Rong off the south coast of Cambodia! 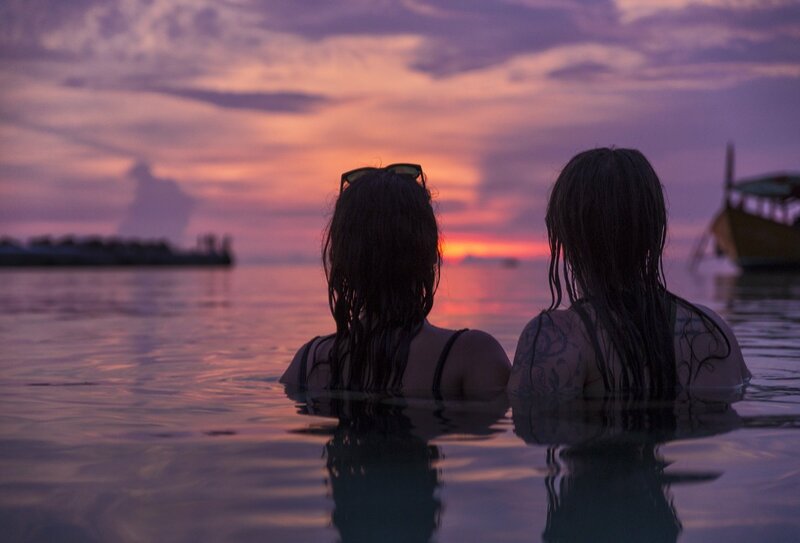 With bags of included activities and excursions, and a group of like-minded travellers, you’re sure to have an unforgettable adventure in Southeast Asia! Enjoy 2 nights in paradise on beautiful Koh Rong – snorkelling boat trip and beach massage included! See the sunrise at the iconic Angkor Wat temple complex. An unforgettable experience! Day 1: Arrive in Hanoi, Vietnam to meet your group and start the adventure! Day 1: Arrive in Hanoi, Vietnam to meet your group and start the adventure! Get to know your group in Hanoi! 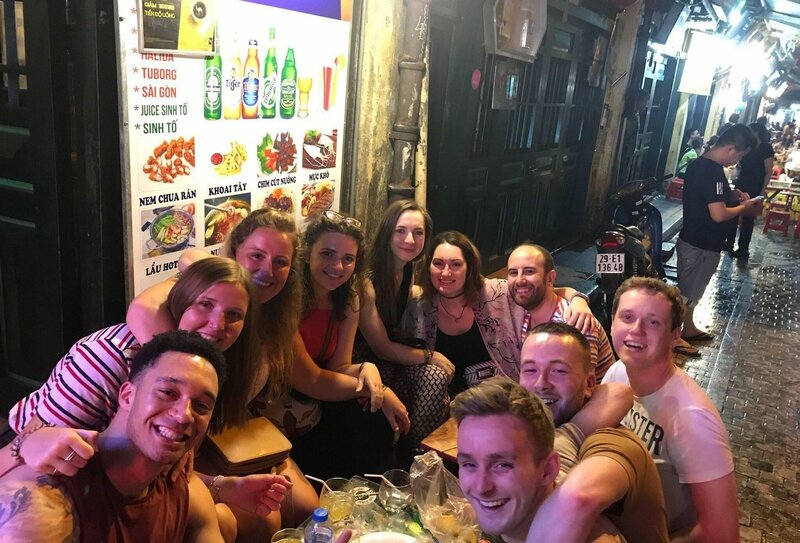 Day 2: Hop in a rickshaw and explore Hanoi, before getting to know your group over drinks that evening! Day 2: Hop in a rickshaw and explore Hanoi, before getting to know your group over drinks that evening! Day 3: Arrive in the amazing Ha Long, and cruise around it's islands! 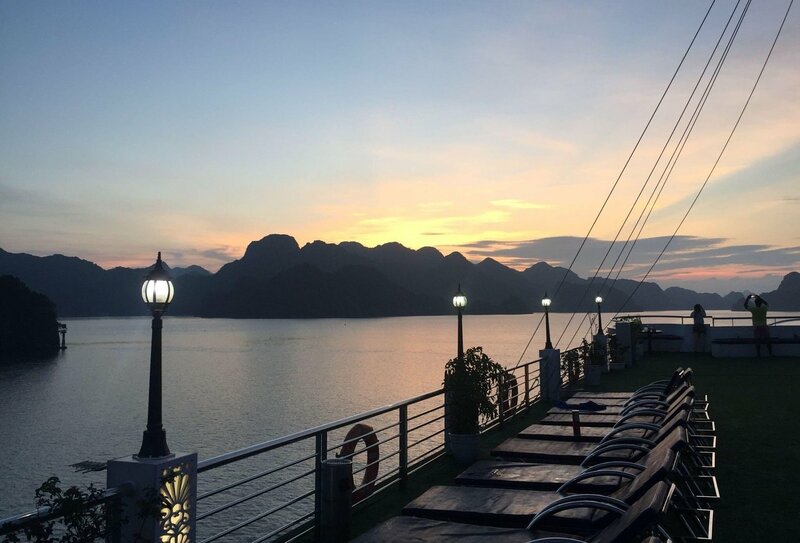 Day 3: Arrive in the amazing Ha Long, and cruise around it's islands! Day 3: Explore Ha Long's islands by kayak! Day 3: Explore Ha Long's islands by kayak! Day 4: Stay on your very own private island and soak up paradise! Day 4: Stay on your very own private island and soak up paradise! Stay on a private island in Halong Bay! Day 5: Leave Ha Long Bay behind and arrive in beautiful Ninh Binh! Day 5: Leave Ha Long Bay behind and arrive in beautiful Ninh Binh! 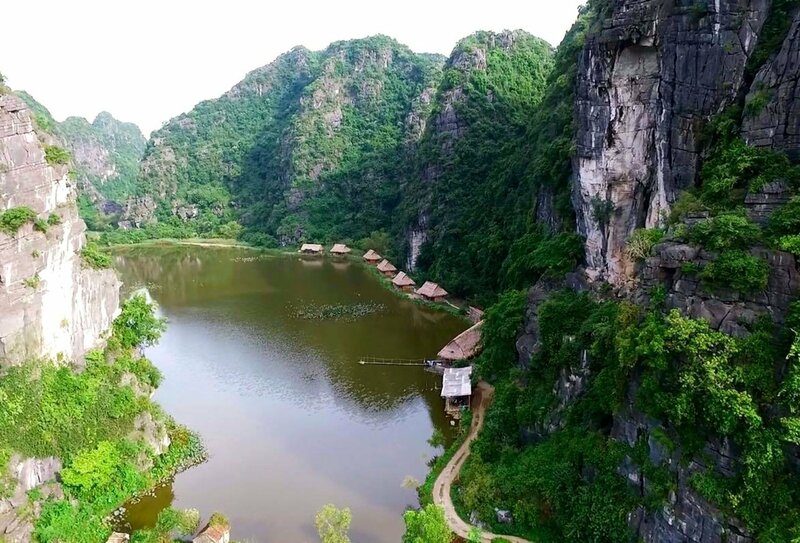 Stay in secluded Ninh Binh! 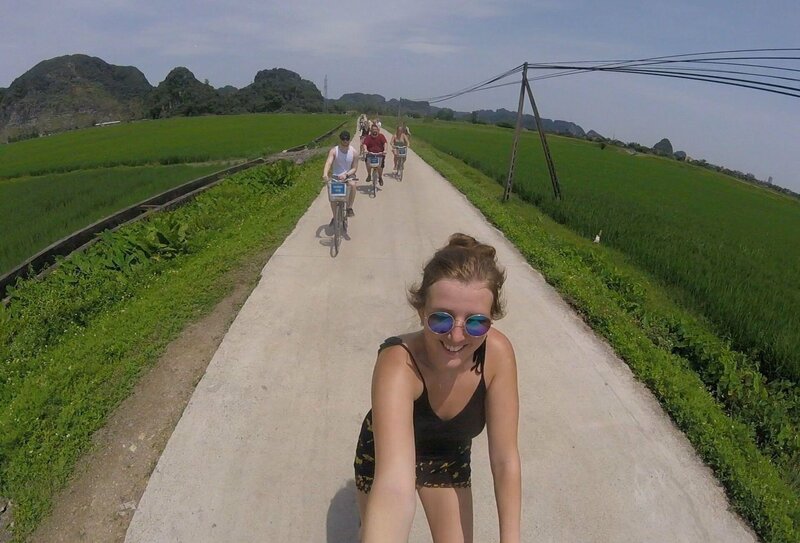 Day 6: Explore Ninh Binh's amazing landscape on a bike tour! Day 6: Explore Ninh Binh's amazing landscape on a bike tour! Day 6: That afternoon, head to the top of Dragon Mountain for a spectacular sunset! Day 6: That afternoon, head to the top of Dragon Mountain for a spectacular sunset! Day 7: Arrive in the ancient city of Hoi An, and have the day to explore! Day 7: Arrive in the ancient city of Hoi An, and have the day to explore! Day 8: Try out traditional Vietnamese crab fishing, before learning how to make delicious Vietnamese food with a cooking lesson! Day 8: Try out traditional Vietnamese crab fishing, before learning how to make delicious Vietnamese food with a cooking lesson! Traditional crab fishing in Vietnam! Day 9: Hop on a quick flight down to Ho-Chi-minh, and explore Vietnam's largest city! Day 9: Hop on a quick flight down to Ho-Chi-minh, and explore Vietnam's largest city! Day 10: Glide down the peaceful Mekong River, and try out catfish fishing! Day 10: Glide down the peaceful Mekong River, and try out catfish fishing! Day 11: Explore the wartime tunnels at Cu Chi, before one last night in Vietnam! 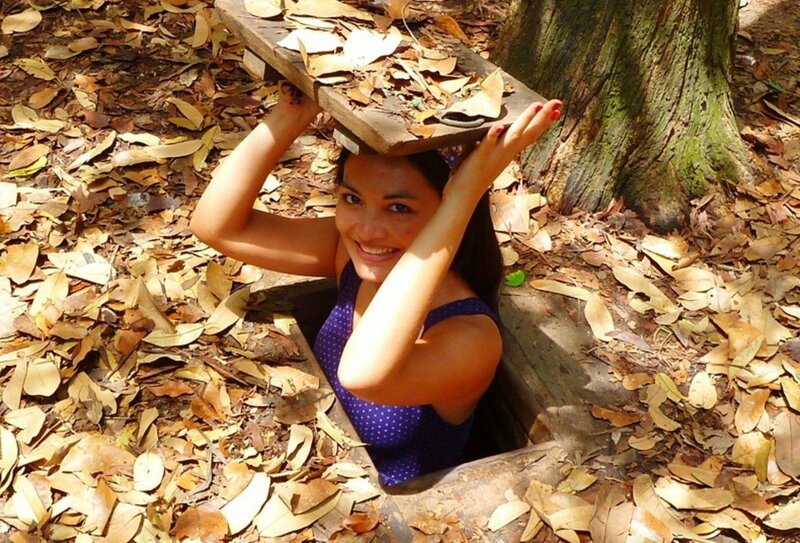 Day 11: Explore the wartime tunnels at Cu Chi, before one last night in Vietnam! Day 12: Have the morning in Ho Chi Minh, before hopping over the border to Phnom Penh, the capital of Cambodia! Day 12: Have the morning in Ho Chi Minh, before hopping over the border to Phnom Penh, the capital of Cambodia! Day 14: Leave the city behind for the chilled out town of Kampot, and enjoy a sunset boat cruise down the river! Day 14: Leave the city behind for the chilled out town of Kampot, and enjoy a sunset boat cruise down the river! Day 15: Explore colourful markets and plantations, before learning how to cook amazing Khmer food! Day 15: Explore colourful markets and plantations, before learning how to cook amazing Khmer food! Explore incredible plantations in Cambodia! 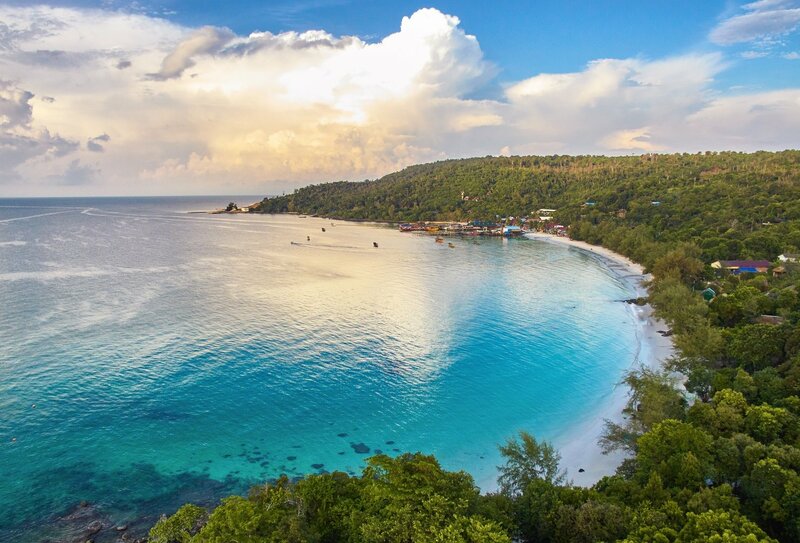 Day 16: Arrive on island paradise on Koh Rong, and relax on Cambodia's perfect beaches! Day 16: Arrive on island paradise on Koh Rong, and relax on Cambodia's perfect beaches! Day 17: Explore crystal seas on a boat trip and an incredible sunset, before dancing the night away on the beach! Day 17: Explore crystal seas on a boat trip and an incredible sunset, before dancing the night away on the beach! Day 18: Enjoy a traditional massage in the morning, before heading back to the mainland and hopping on a night bus to Siam Reap! Day 18: Enjoy a traditional massage in the morning, before heading back to the mainland and hopping on a night bus to Siam Reap! 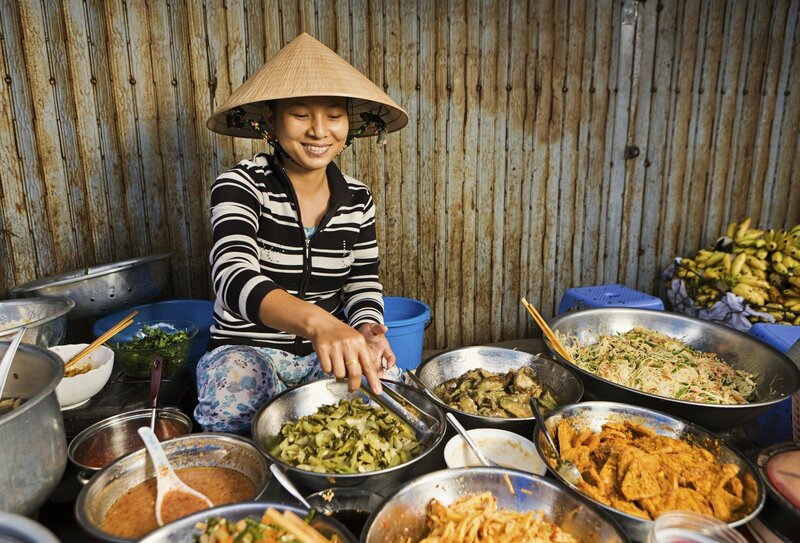 Try amazing food in Cambodia and Vietnam! Day 19: Arrive into the amazing ancient city of Siam Reap and have the day to explore! Day 19: Arrive into the amazing ancient city of Siam Reap and have the day to explore! Day 21: Watch the sun rise over Angkor Wat, before exploring the amazing temples in the complex! Day 21: Watch the sun rise over Angkor Wat, before exploring the amazing temples in the complex! See the famous temples of Ankor Wat in Cambodia! Day 21: Have the afternoon to relax and catch up on sleep, before on last night out with the group in Pub Street! Day 21: Have the afternoon to relax and catch up on sleep, before on last night out with the group in Pub Street! Day 21: Say goodbye to your new friends, or continue the adventure in Asia! Day 21: Say goodbye to your new friends, or continue the adventure in Asia! This fantastic adventure brings together two of our most popular Southeast Asian trips into one exciting combo. You’ll start with our Vietnam Adventure and then cross into Cambodia for our Cambodia Intro. Discover hidden wonders and gorgeous landscapes and fall in love with these stunning Southeast Asian countries! 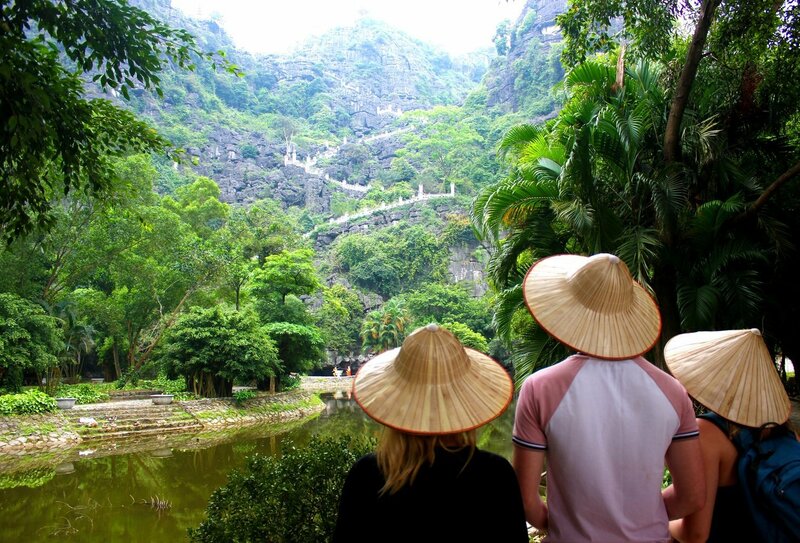 Enjoy 12 days in Vietnam with a group of like-minded travellers and a knowledgeable guide. Discover hidden wonders and gorgeous landscapes in this fantastic country! 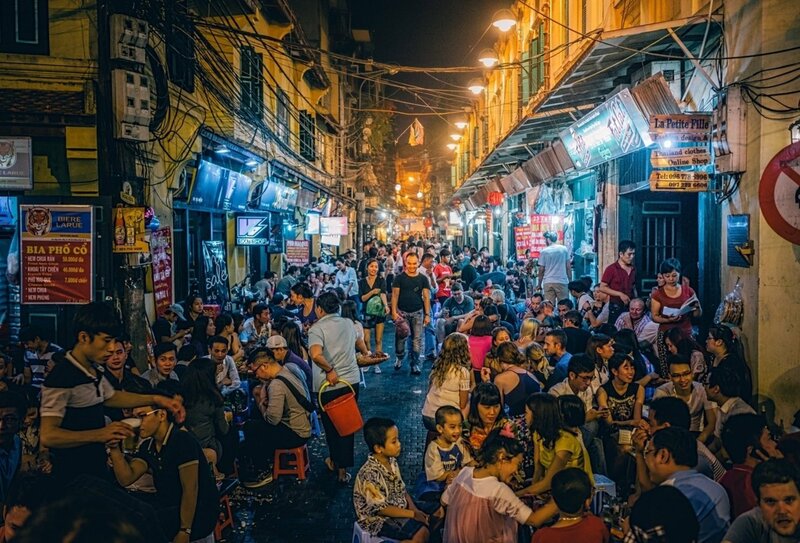 You’ll kick off in the unique atmosphere of Hanoi, with its maze-like alleys and bustling old town. After a rickshaw tour, you’ll strike out east towards the gorgeous limestone karsts of Ha Long Bay. Here you’ll enjoy an overnight cruise on a traditional Vietnamese junk boat, before spending a night on a beautiful private island! 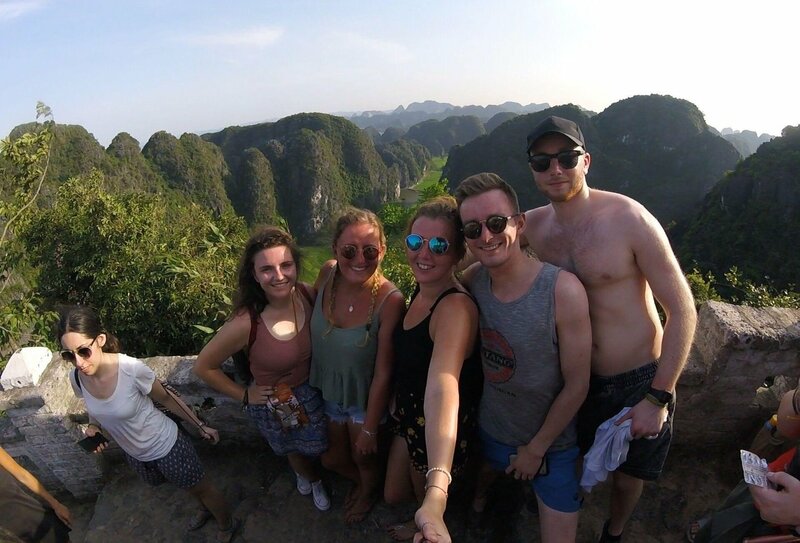 Next up you’ll journey south to Ninh Binh, where you’ll explore the countryside by bicycle and discover the incredible Dragon Mountain viewpoint. 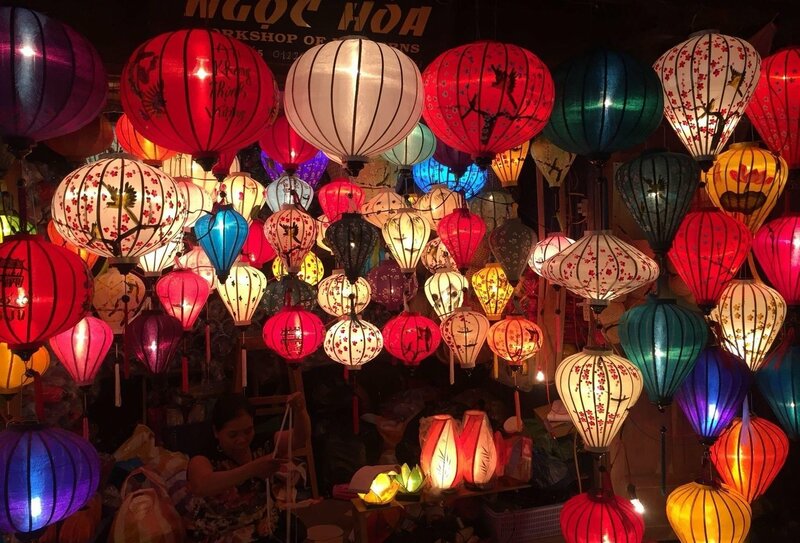 Then it’s time for some retail therapy in lamp-lit Hoi An, famed for its many shops and cut-price tailors. After a crab-fishing experience and a cooking class, you’ll journey on to Ho Chi Minh City for 3 days of adventures. 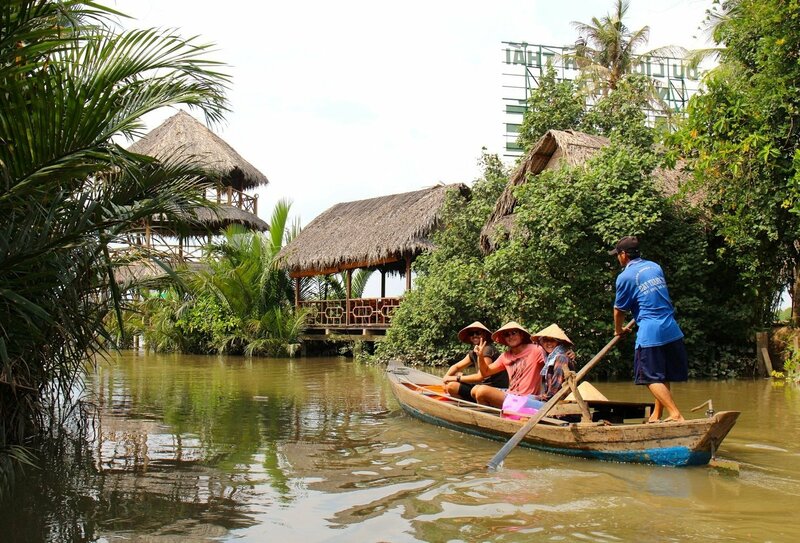 Enjoy a canoe trip along the famous Mekong Delta and check out the Cu Chi Tunnels, a sprawling network of underground passages used during the Vietnam War. On day 12, you’ll leave Ho Chi Minh City and journey across the border to Cambodia, where the next stage of your adventure will begin! When you get off the bus in Phnom Penh, you’ll enjoy a free afternoon to relax before heading out for dinner and drinks with the group. 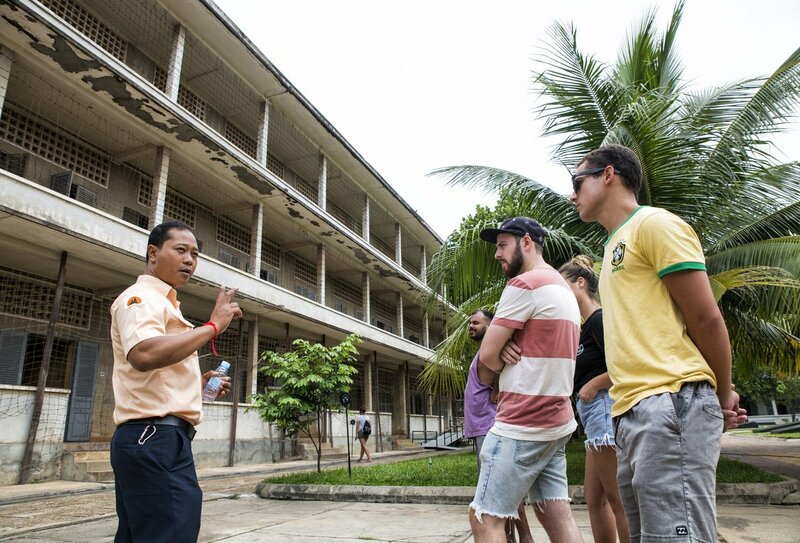 The next day you’ll explore the city on a tuk-tuk, and then learn about Cambodia’s brutal recent history at the S21 Prison and Killing Fields. Your next Cambodian stop is Kampot, world-famous for its pepper fields. You’ll enjoy 2 days here, during which you’ll enjoy river tubing, a sunset river cruise, a pepper plantation visit and a Khmer cooking class! You’ll then transfer to beautiful Koh Rong and enjoy beach bliss, a snorkelling boat trip, and a luxurious Khmer massage. Your final stop is Siem Reap, where you’ll discover traditional floating villages and experience an authentic Cambodian performance. The next day you’ll wake up early and head to the incredible Angkor Wat temple complex for a sunrise tour. Your trip ends in Siem Reap on day 21. For a day to day itinerary, please download the trip notes! You can arrive in advance of the start date and still take up the inclusive transfer if you book extra nights of accommodation through us. If you wish to arrive before the start date then please let us know this in advance. Please note if your flight arrives before 7am on day 1 you will automatically be booked an extra night so you can check into your room immediately. Please budget approximately £12 for this as you will need to pay on arrival. Your tour ends in Siem Reap on day 21. A return airport transfer is not included but is easy to arrange. Your guide will be on hand to help you organise onward travel. 20 nights of twin, triple, or multi-share accommodation are included on this tour. You will stay in a combination of hotels, hostels, guesthouses and homestays. 1 night will be spent on a traditional junk boat on Ha Long Bay. 1 night will be spent on an overnight bus between Sihanoukville and Siem Reap. 19 breakfasts, 7 lunches and 4 dinners are included. You will need to purchase the rest of your meals yourself. This is a great way to experience local culture by sampling Southeast Asian delicacies. Food in Southeast Asia is mainly very cheap, so eating out shouldn’t break the bank. The minimum age to join this group tour is 18 years old. British nationals can enter Vietnam for a maximum of 15 days without a visa. You must have at least 6 months validity remaining on your passport from the date you enter the country. If you wish to stay longer than 15 days, or wish to leave and re-enter the country within 30 days you will need to apply for a visa. You will need a visa to enter Cambodia. You can apply for a visa online before travelling or simply complete a form on arrival at the Cambodian border (where you will need to pay a 30USD fee). If you are planning to extend your stay it is your responsibility to ensure that you have a valid visa for the entire duration, or obtain any necessary visa extensions while you are in Cambodia. Anyone in Vietnam starting 7th April? 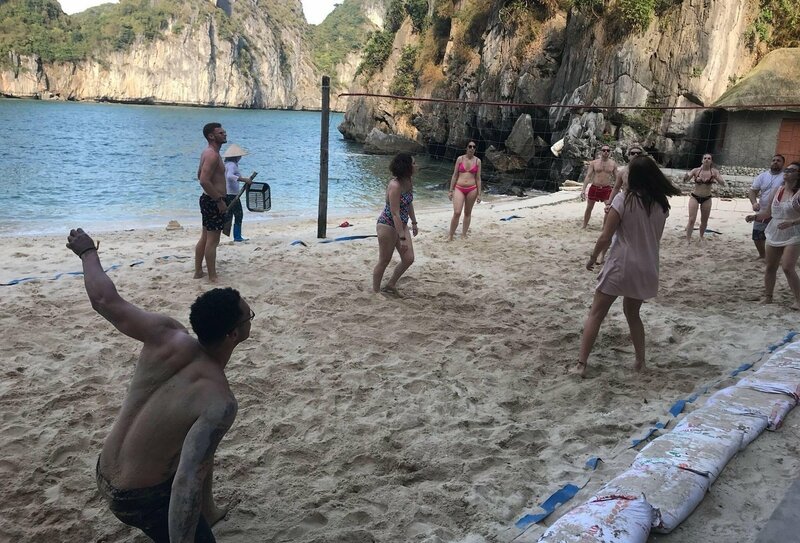 Who’s doing Vietnam beginning 19th April?! !